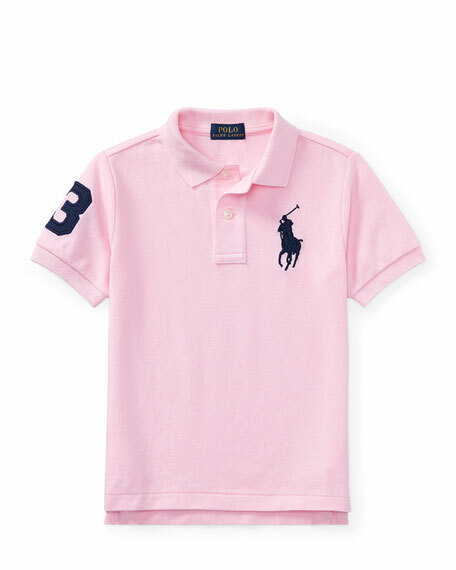 Ralph Lauren Childrenswear mesh polo shirt in cotton. 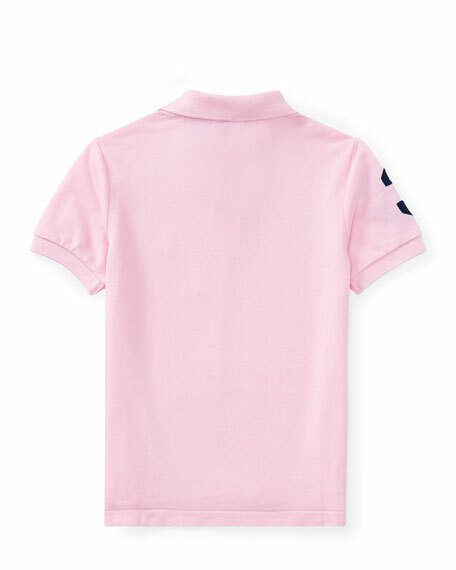 Large signature logo embroidery at left chest. "3" embroidery at right sleeve. Spread collar; two-button placket front. 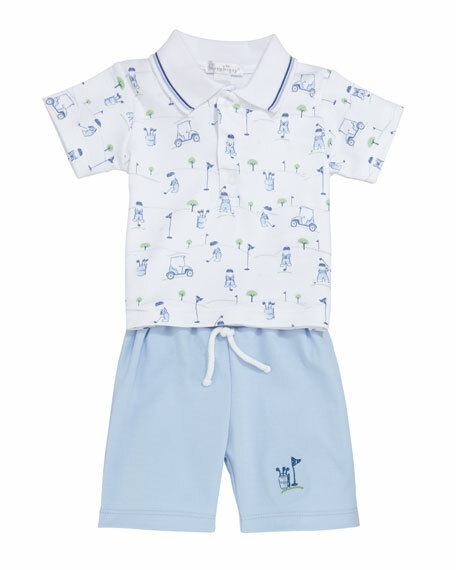 For in-store inquiries, use sku #2528593. 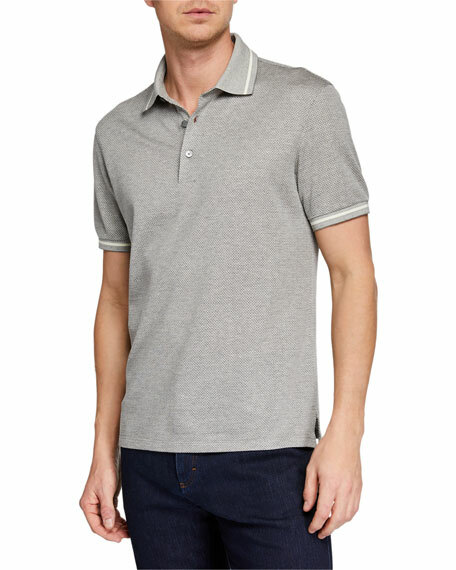 Ermenegildo Zegna polo shirt in heathered piquet with striped trim. Spread collar; three-button placket. Side vents. Pullover style. Cotton/silk. Imported. 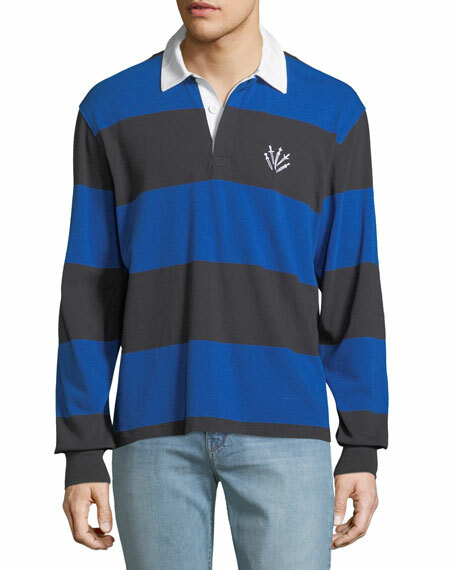 Rag & Bone rugby striped polo shirt with signature dagger embroidery. Spread collar; three-button placket. Long sleeves. Patch detail on back. Straight hem. Cotton. Imported.